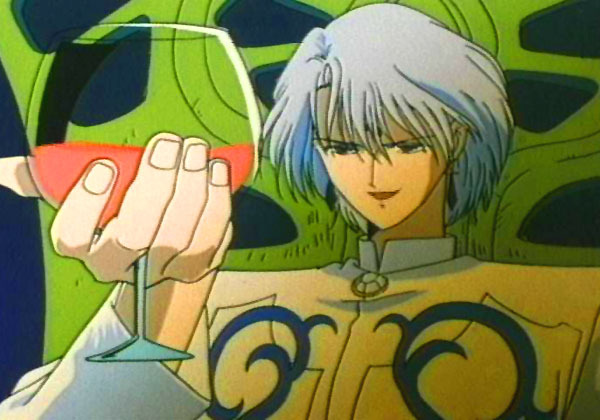 A little something to get you through the weekend….Prince Diamond from Sailor Moon enjoying a refreshing glass of….evil? I stole this from the Internet, so thanks for making it….person who did. June will be here soon, so I might as well face it: it’s summer time. Not “it’s so hot out and it’s spring” but actually summer. I have tried to deny it and put it off. To be honest, the DC Metro area is a bit brutal heat wise. So facing my full summer in DC is a daunting task. I might as well embrace and face it with rink in hand. I knew finding a worthy pairing would be a challenge. So I decided to up my chances by buying a pack of Trader Joe’s saltwater taffy that included multiple flavors. I used to love watching the taffy puller at my town’s local fair (and eating the taffy). My mom always buys some for my brother every year…but I need to find out how to get in on that deal. I could not eat it for years because of my braces, and anyway…I digress. The pack did not come with a guide though, so picking apart which was sour-apple and which was strawberry-banana proved challenging. I think I did alright though and this was a fun, successful pairing. The Wine: le Rosé do Mouton Cadet. Bourdeaux Rosé 2010. 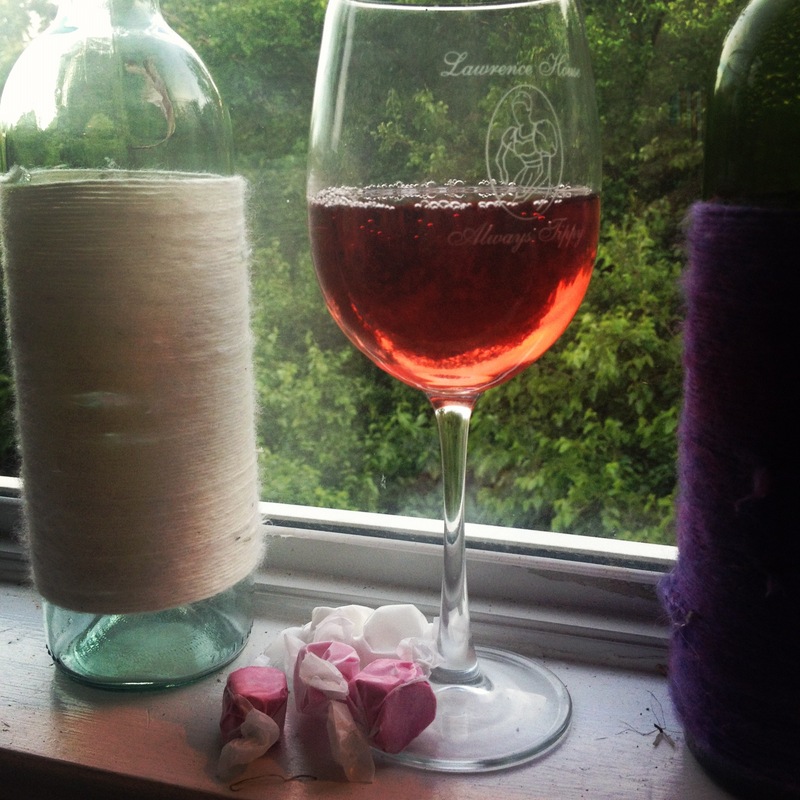 The Dream: I knew the rosé would be sweet and light. I needed some candy with weight to it physically. It could not be something quickly chewed otherwise I would go through the glass of wine super fast. Although it was a sweet wine, I couldn’t go bitter to counterbalance. The wine still has a zing to it and choosing a bitter licorice would be too confusing flavor wise. At first I thought a citrus-flavored candy would be my best bet. The taffy won though because of the variety and unpaired status on this blog. Also, taffy is sweet but not overly so, since it’s so much work to eat. I also just had a good feeling. And I was standing too long in the aisle of the bustling Trader Joe’s and had to pick. The wine-glass cameo is to congratulate the Smith Class 2012 for your graduation. Rock on. The wine is mostly tangy, which surprises me. It certainly has a sweetness, but there is an overall bitterness (some stronge tannins up in this wine for certain). Concerns me slightly, but it’s cool and refreshing so I have high hopes. Sour Apple–I don’t know why they called it sour. 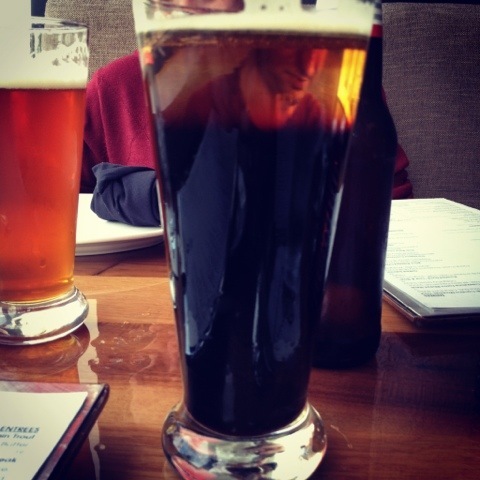 It’s mostly sweet with a slight introduction of sour in the beginning. It goes well with the wine, though the wine’s flavor is downplayed a bit after. They go well together though, since they both offer conflicting flavors. Watermelon–Like most things watermelon flavored, it tastes nothing like watermelon. It’s hyper sweet, yet weirdly refreshing. The sip of wine after is bitter and sharp. Not a good pairing. Red licorice–I will be honest, I could not wrap my head around a taffy that tasted like red licorice. It tastes like red licorice, but is a taffy. It’s fine when you bring fruit into a taffy flavor, but a candy? It was like eating red licorice but feeling like something went horrible wrong in the process. I barely tasted anything notable in the wine, mostly because my head was still spinning. Strawberry banana–It tasted like banana bread with a warm, strawberry flavor. It truly did taste like a baked good and made me feel warm. The wine is rather sweet after, with just a kick of tanginess. A very excellent pairing. Cherry–This was terrible. 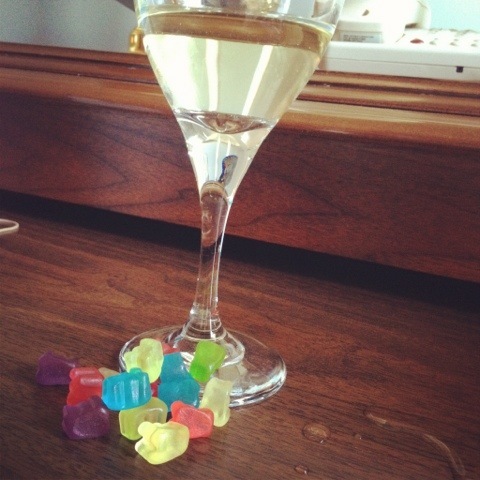 It was an extremely sour candy and the wine tasted bitter after. Not good at all. This was fun since every piece of candy brought a different taste experience. I highly recommend grabbing a bottle of this stuff and buying a mixed bag of taffy (hopefully from a loud, overpriced fair vendor). My next pairing may be delayed since I’m going out of town this weekend. The weekend is usually when I do a pairing, but I’ll try to make up some lost time. Until then, chill your glasses and enjoy the start of summer. Posted in Uncategorized and tagged bourdeaux, Cava, rosé, summer, taffy, Trader Joes. Bookmark the permalink. Orange You Glad to Have a Drink? I get emails from several foodie/wino website/blogs. And I learn a lot! I hear I sound very informed about wine, but it is all smoke & mirrors and I would be nothing without websites like Tasting Table and The Daily Sip. Here is a cool infographic from Tasting Table about orange wine. The hue of orange wine is determined by how much the time the skin of the grape spends with its juices. Not clear? Hint: they are not necessarily always orange. Sometimes they are pink or a very shy red. I still don’t know much, but this infographic can help and who knows, maybe we will see an orange wine grace these pages. Posted in Uncategorized and tagged Orange Wine, Tasting Table, The Daily Sip. Bookmark the permalink. I read about this nifty new wine gadget called the Corkcicle. 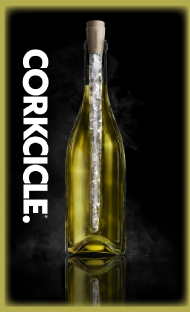 A Corckcicle is placed inside the wine to make it the ideal temperature, keeping your wine cold without an ice bucket or a fridge. After 2 hours in the freezer, it’s read to be inserted into the wine. And it’s not just for white wines, it’s designed for reds as well. It’s als0 reusable. A quick wash and it’s party ready once more. It’s price is fairly friendly (under $30) but I am not sure I’m ready to commit. Nonetheless, a nifty new wine gadget for you committed winos! After my Chinese disaster I decided to pick the “low hanging fruit”, to borrow a phrase that everyone at works says. My inspiration is fairly basic. At work, we have a treat table and someone brought in Tootsie Rolls. I knew instantly this was my next challenge. I love Tootsie Rolls. They are unique and a brand unto themselves. 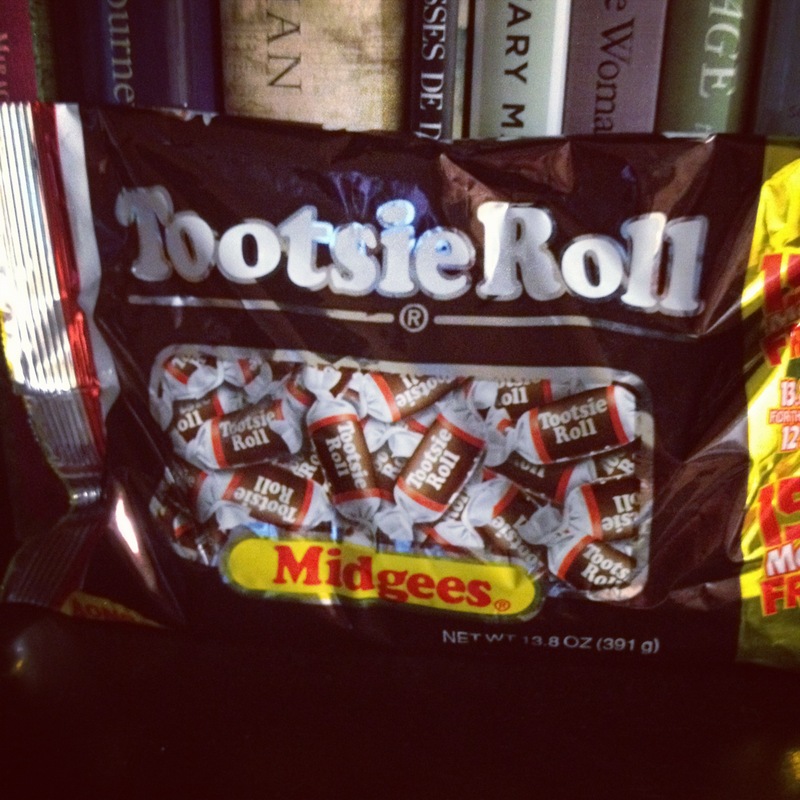 Unlike candy bars which are merely new combinations of basic components, a Tootsie Roll is its own entity. You have to respect that, even if you don’t like them. And I think I may have done it justice. The Smithies will know why I picked this wine: Raven’s Used Books. A Tootsie Roll is intensely chewy and chocolate (chewcolate? ), so a red felt more practical. A smokey Pinot was the initial choice, but I chose this Cab instead. The label claimed it was fruity with a touch of spice, which I thought could bring out some interesting flavors from the Tootsie Roll. I’ve never thought Tootsie Rolls had one flavor. They are very deceitful in that they surprise you with a lemon, tangy flavor at the end. 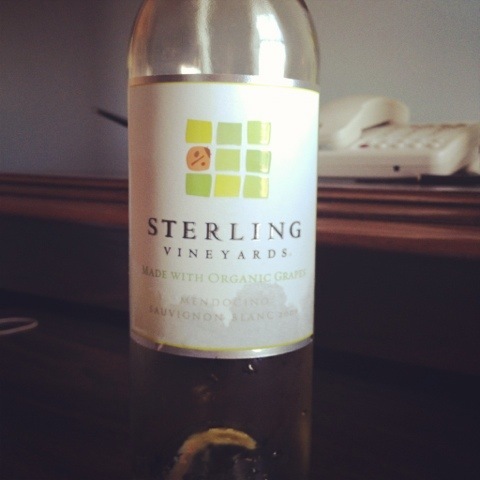 To be honest, I hoped the spiciness of this cab would be more pronounced than it was, but it worked out for the better. The wine smells like cherries and a slight blueberry scent. I did not detect any spice, which initially disappointed me. The first taste gave me hope. It’s light and tart. The wine has a bite but it goes down extremely smooth and then dries out the tongue. The flavors flirt with you. All teasing and no commitment. Tootsie Rolls are the exact opposite. You chew one and you think, “This is chocolate” but suddenly this almost soapy taste is left in your mouth. And both flavors are extremely intense. You’re left thinking, what happened here? It isn’t bad, but it was not how you started. 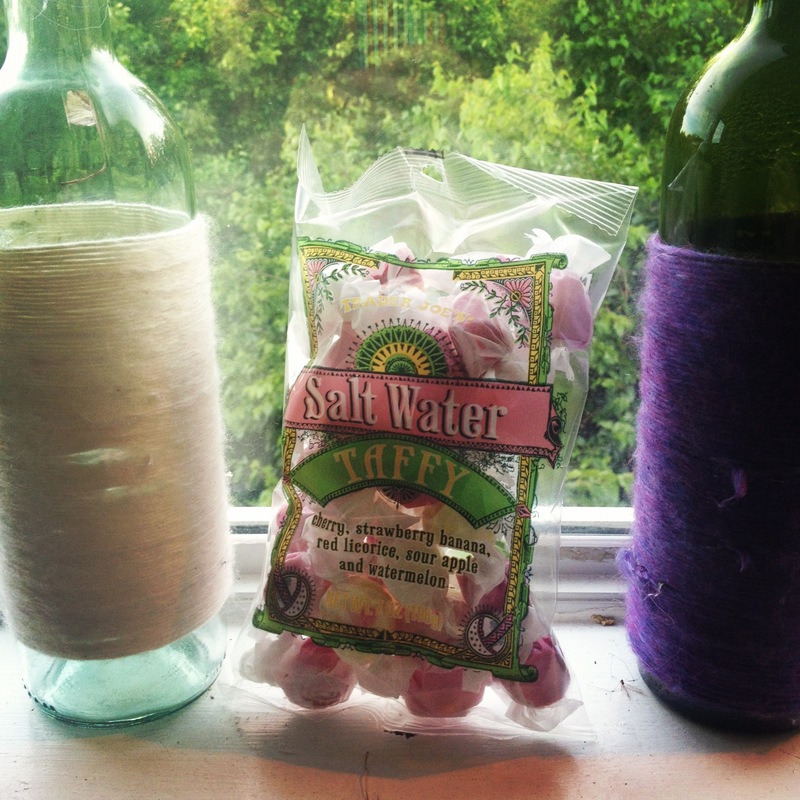 This wine cleanses the palet and flies off your tongue, washing away the thick Tootsie Roll. Coming up next: I’ve been challenged to pair a Rose from Spain (Cava), so that will be the next pairing. I think it will come at the right time as the DC/Maryland summer creeps upon us. Welcome and a hearty thank you to my new followers/likers. Cheers! 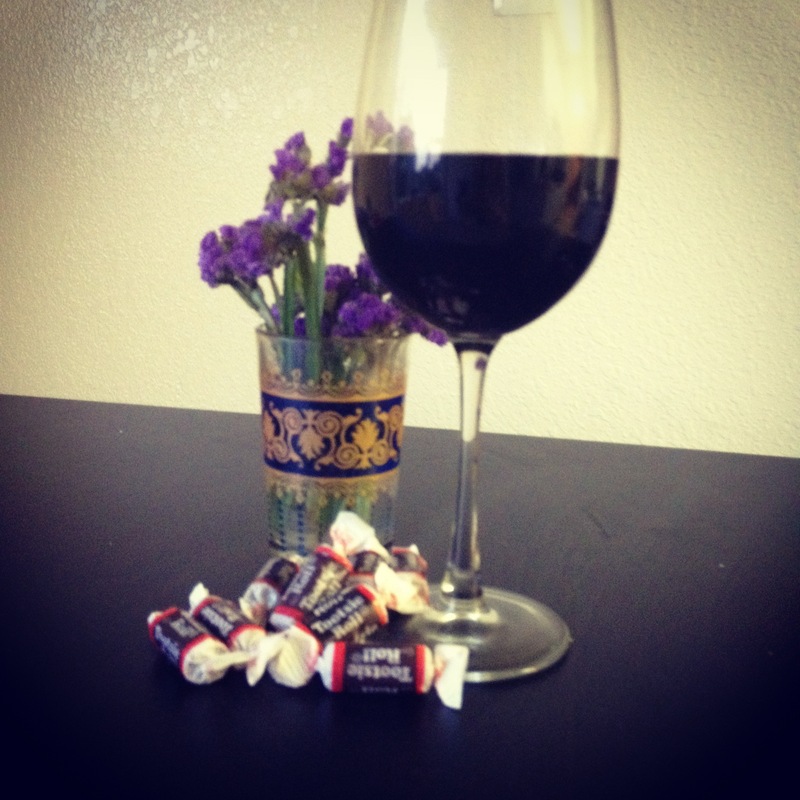 Posted in Cabernet Sauvignon and tagged Cabernet Sauvignon, Candy, tootsie roll, Wine. Bookmark the permalink.